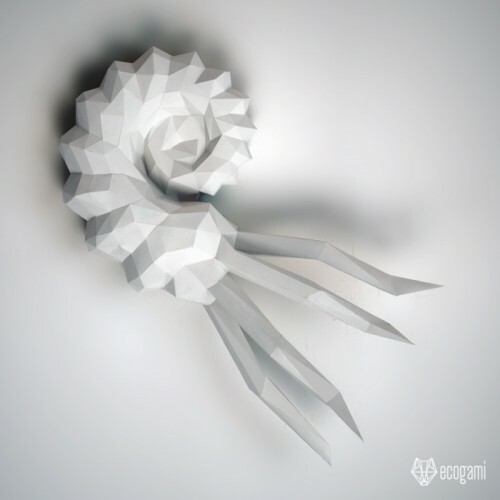 Make your own paper ammonite with our printable PDF pattern! It’s easy! Just follow the instructions & you will be proud of your low poly marine animal. Isn’t it a nice & unique prehistoric animal to decorate your wall? It seems to come out of the wall, to emerge from the water. If you want a giant ammonite (double size), please the A4 pattern with A3 paper.